Makeover Monday Challenge #10 with Paper Crafter's Library was to be inspired by the card on the right from Jessica Witty. I don't think I fell too far off the mark with my Blushing Bride/Basic Black card. 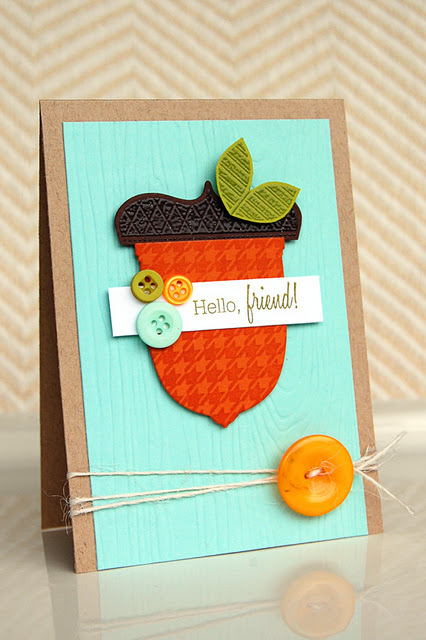 This card was created using the New Stampin' Up! set Take it to Heart which can be found in the NEW Occasions Mini Catalog (pg. 14).The image was stamped in Versa Mark and heat embossed using black ep. I Also used the NEW HEARTS FRAMELITS which can also be found in the mini (pg. 6). 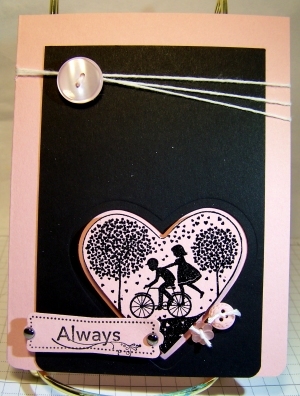 My sentiment was created using one the Modern Label Punch and the Modern Label stamp from the Tea Shoppe set (pg. 19 in the mini)which is in the KIT I am offering. The small buttons are the Twitterpated buttons (pg.12) which are also in the KIT! Great card...I hope you'll join me again at 52 Card Pickup!